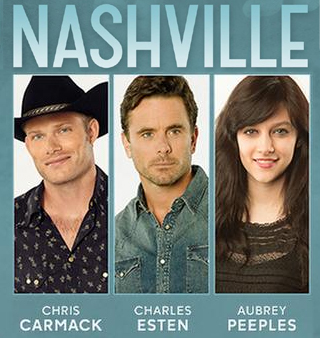 ABC's Nashville Cast Signing Update! Charles Esten, Chris Carmack, and Aubrey Peeples from ABC's Nashville will be signing copies of the Nashville CD and snapping photos with fans at Cafe Lula at the Ryman from 4:30-5:30 PM on Friday 6/12! You can buy the CD along with a signing pass at the Ryman Gift Shop at 9 AM on the day of the signing.